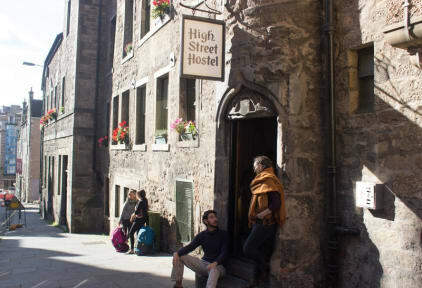 High Street Hostel kohteessa Edinburgh, Skotlanti: Varaa nyt! Amazing location and everything was very good! Highly recommend! 4 bed dorm was great. Beds were steady and clean, there was 2 usb chargers & plugs per bed, room was nice, old stone walls etc and window to the street, enough space for 4 people, lockers. Although 2 showers and 2 wc for 24? People, you didn't had to wait. Staff was friendly and very helpfull. One of the best hostels i've stayed. I do like this hostel and I will be going back also,well when I have chance to travel more in the Scotland ..heh Location was very good, very near Royal Mile in the centrum like near all the tourists spots there. Well in the Edinburgh everything quite close there. Staff was nice and friendly. And facilities were also ok. I had easy and safe staying there.